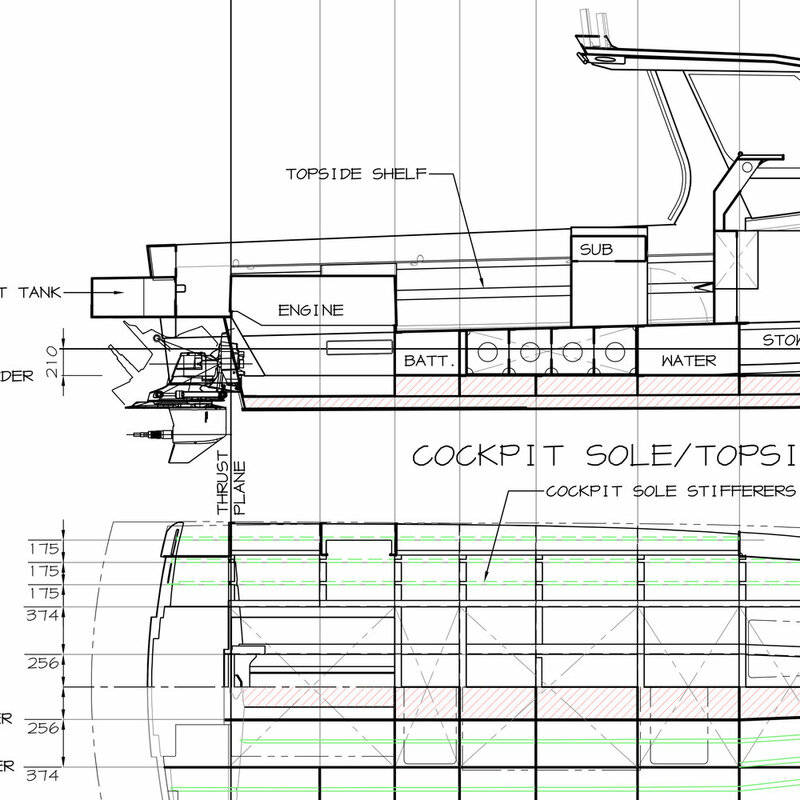 Sealegs have been in business of building high end, amphibious boats for more than a decade. When it came time to add a new boat to their range, they needed the right product. The team at Sealegs had always been very impressed with the design of the Innovision hull. 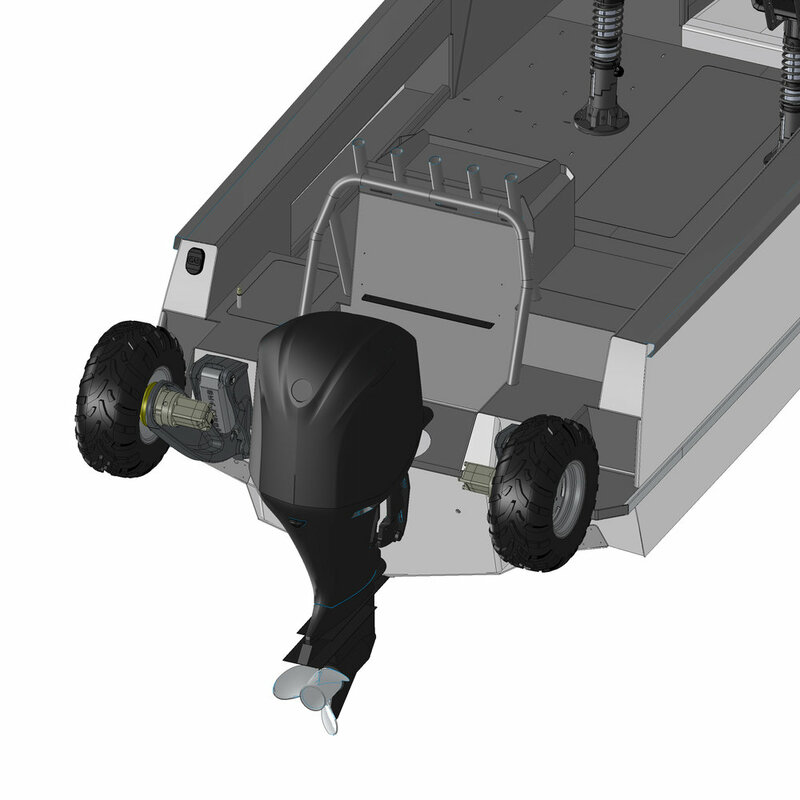 In 2017 Sealegs expressed an interest in using the Innovision hull concept to design a new 8m boat that would suit the design of their amphibious system. 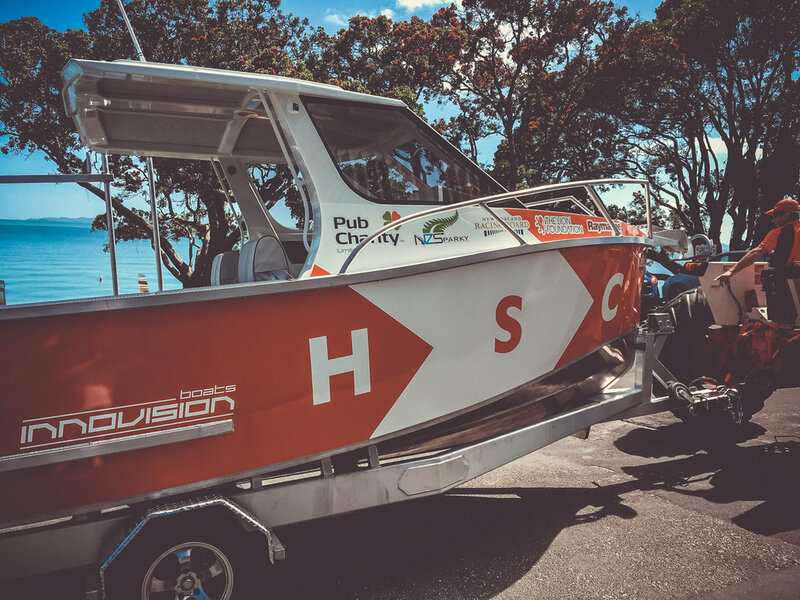 In 2016 the Howick Sailing Club approached us at the Auckland on Water Boat show and expressed interest in our boat to be used as a committee boat but needed some custom options. As that’s a big part of what we do at Innovision Boats, we were more than happy to work with them to give them just what they needed. Back at our very first Hutchwilco Boat show in 2014, we met a very passionate fisherman/boatie. He had two problems though – a very bad back and that he suffered from sea sickness. After numerous sea trials he decided that Innovision boat hull design was going to offer that soft ride for his back and that stable platform so he didn’t get sea sick.